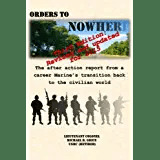 Thanks to all of you who have read my posts about the transition survey that I using to conduct some research into the military transition process. A lot of you have helped me out, and I truly appreciate your time in taking the survey and for sharing it with others who can help. That said, I can never get enough data. If you are a veteran or a military person going through transition, please take my survey here: Military Transition Survey . Thanks! So far the data are showing some interesting trends. The Marine Corps is the best represented so far, so for those of you in other branches here is your chance to catch up and beat the Marines…. About half of the respondents are combat veterans, and veterans from every conflict since the Korean War have taken the survey. My first look at the data shows that there are many more programs available today than were out there for earlier generations of veterans, with many of our Vietnam, Korean, and Cold War veterans responding that they had no formal outprocessing resources. More recent veterans report that there are a lot of different programs currently available, and that they produce a wide disparity in results. Some are reported to be great, and others are reported to be useless. I am looking forward to diving more deeply into the data to learn more. The split between veterans who did and did not serve in active combat is about even, as is the ratio between enlisted and commissioned respondents. Very few warrant officers have weighed in, though — so if you are a warrant officer, please jump in! I will start analyzing the information in greater depth next week, and I’ll keep you posted. Till then, keep sharing the link and get as many of your peers and friends as you can to take the survey. This entry was posted in Enlisted, Marine Corps, Military Transition, Officer, Ruehlin, Transition Posts and tagged 25+ Retirement Seminar, active duty, career, EAS, Enlisted, Marine Corps, military, Military Transition, Officer, Retirement, Ruehlin, TAMP, TAP, transition, VA, Veteran, Veterans Administration. Bookmark the permalink. Why are transition assistance programs not as effective as they should be? The answers are out there, but nobody is asking the questions.